Why Do You Fight To Hear Words Clearly At Parties? Very small, unfortunately, this isn’t going to turn out to be a party full of mumblers. The more likely cause of the problem is your hearing. Let’s face it, it isn’t what it used to be and that’s getting in the way of your party fun. It’s also likely that this problem has been around awhile. Maybe you complain about that same mumble while at the local store or when watching TV. 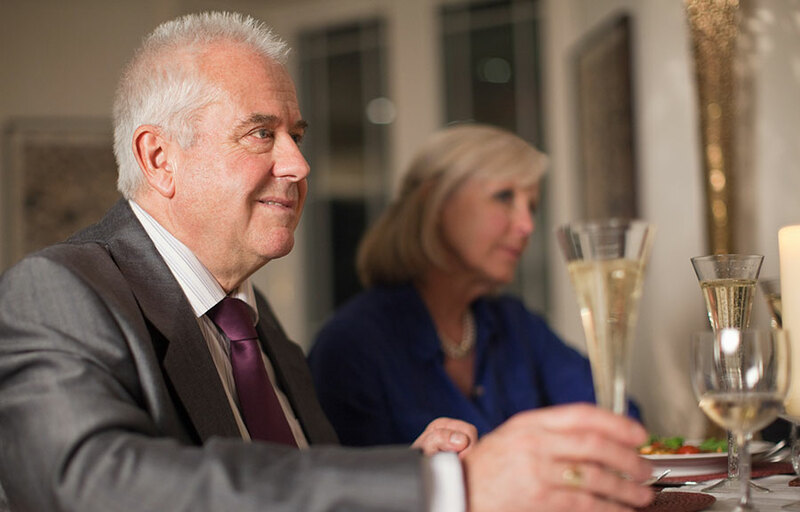 Age-related hearing loss is typically first noticed in noisy environments like your adult party. Everyone’s talking at once and the music is playing, so you’re struggling. The first step is to learn more about age-related hearing loss and what you can do about, so next party with won’t feel like a loner. Age-related hearing loss, known medically as presbycusis, is a condition associated with individuals between the 65 and 74, but it actually begins at a younger age. The cause is the natural wear down of the nerve cells in the ears. These tiny components of the inner ear send electrical impulses to be translated by the brain into the sound you hear. Sound enters the ear canal in waves and travels to the inner ear for processing. It’s a process that puts stress on the tiny cells there, so in about 50 or 60 years, they start to wear down. Lifestyle choices do factor in, though, so individuals who spend their life exposed to loud noises have more hearing loss problems as they age. Maybe you drove for the last 20 years with the windows down and the radio up or have been wearing earbuds to listen to music since they first hit the market.